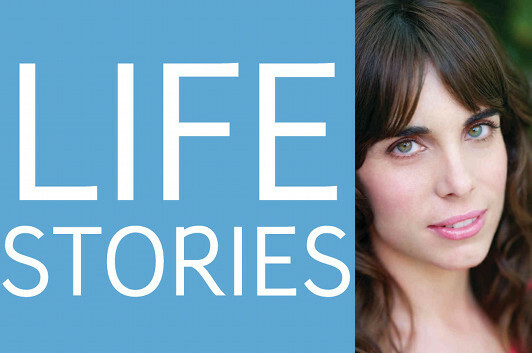 In this episode of Life Stories, the podcast series where I interview memoir writers about their lives and the art of writing memoir, I talk with Domenica Ruta about With or Without You, in which she describes being raised by a single mom who gave her her first OxyContin pill when she was ten years old, and the full blossoming of her alcoholism in her twenties. We talk about recovery, and the differences between writing drunk and writing sober, and how she found out what her mom—with whom she hasn’t spoken in seven years—thinks of the memoir through the New York Times. “I think for better or for worse, and I think it’s a little of both, he has opened a door for memoirists to really explore what it means to have memory and to retell a story and to do that with craft. Part of the experience of recovery is trying to parse out what of my life is valid, what is invalid? What of my life is an emotional projection, what is real? “I actually owe a debt, a great debt to James Frey for starting that conversation, as painful as it probably was for him—and I can only imagine—he started a really interesting conversation that I at least was engaged in in my head while I was writing this, which is, you know, when I get to points that I don’t remember clearly, how about I just dive head first into that uncertainty? How about I highlight the gaps in my memory? … I point out the moments when craft is taking over, when I paint something a certain color in the writing of the memoir, because I don’t exactly remember what color it was, but this is the color it needs to be in this truth. I don’t know how he wrote, how people wrote memoirs before that door was opened, so I’m really grateful for that. Listen to Life Stories #28:: Domenica Ruta (MP3 file); or download the file by right-clicking (Mac users, option-click).